Many social media influencers choose to ignore Twitter is a potential traffic source. Most of them have chosen to focus their energy on the more visual platforms like Pinterest and Instagram. It is a very viable marketing strategy and I understand the logic behind what they are doing. 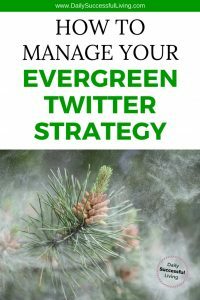 However, I personally believe that most small website owners misunderstand how easy an evergreen content strategy is to manage on Twitter. There are multiple tutorials on setting up Twitter accounts. What I’d like to focus on is creating a feed with evergreen twitter content that virtually runs itself and continues to feed your site traffic. I personally manage three Twitter accounts (2 for me and one for work). I manage all three account in about 15 minutes a day using ManageFlitter and Social Jukebox. The free version of ManageFlitter keeps my feed clean. The most important tool I use is Social Jukebox. Social Jukebox is a social media scheduling tool designed specifically for evergreen content strategy. It began with Twitter but is now available for Facebook and LinkedIn. What is an Evergreen Content Strategy? Evergreen content is articles, blog posts, inspirational messages and visual graphics that can be shared multiples times throughout the year because the content or images don’t age. Evergreen content is the most important content you can create because it stays relevant year after year. My goal is to produce four pieces of evergreen content for every five posts I create. Having an evergreen content strategy is critical as a blogger. Unless you have time to be posting multiple posts each week, you need to create content that people will want to read over and over again. Social jukebox is the best way I’ve found to share your content over and over again. To use Social Jukebox, I compiled a list of my evergreen twitter content on a spreadsheet. Once I had my list, I began creating a second spreadsheet with content from other writers. My goal is to share 30-40% of my own content and 60-70% of content from others. Typically you see writers recommend a 20/80% split. I also supplement my feed with additional content I curate every few days from other writers, so my actual posting tends to be more of a 30/70% split. Once I’ve compiled my two lists, I upload my spreadsheet into Social Jukebox. Social Jukebox is designed like an old fashion jukebox. I control the content and the frequency of my daily posts. Once I input my basic parameters Social Jukebox does the rest. All evergreen campaigns are then tweeted on a completely random basis throughout the day. Once you have input all of your tweets, you can do a quick preview of the Auto Scheduler to see when your posts will be tweeted. You won’t be able to see what posts are being shared since that part is completely random, but you can easily see when your content will be published. On a side note, you still need to be personally engaged on Twitter. You can’t expect to turn on an auto system and suddenly have tons of traffic. In addition to my evergreen content, I hop on Twitter 2-3 times a day. I share a few posts, return any comments and try to interact with people on my feed. Ability to use an RSS feed for posting – I prefer not to use this feature, I personally believe it is best to curate your own content rather than assume people will always post content you want to share. Auto Scheduler for specialized posting – This just gives you more control then the completely random scheduling system. Targeting posts – Date based posts for a holiday or special promotional events. This is a great resource to use when you have a limited time affiliate program you are promoting. Analytics – Honestly, I don’t think their analytics are great, but I do like the fact that in the mention section it shows me how many followers the person has who mentioned my name has. Social Jukebox can also be used to publish evergreen content to your Facebook page. I recently started using this feature and have been very happy with the results. 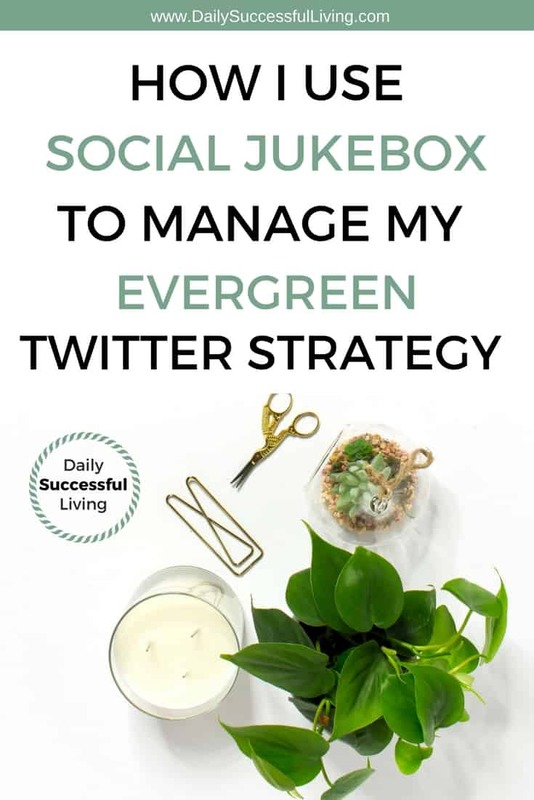 My Jukebox is set up to share one post a day to my Daily Successful Living page. I have been amazed at the consistent traffic I’ve been getting from this feed. I only have 97 followers on this page but am getting 3-5 link clicks each day from Facebook. Prior to using Social Jukebox, I was only getting Facebook traffic on days when I shared posts on my personal profile. Find Duplicate Post Feature – Now that I’ve been using Social Jukebox for more than a year, I’ve really started to appreciate this feature. I’ve had to add posts manually and have found myself duplicating posts on multiple occasions. Thank you tweet option – I haven’t set this up yet. I hate auto-responders. I’ll probably have to start using them as my presence grows, but for now, I just try and respond personally. I really like using Social Jukebox. It is the best program I’ve found for organizing my evergreen blog content strategy. 1. The interface isn’t super intuitive. It is easy to use, but I often have to click on multiple areas to get the results I’m looking for. For example, when I activated my account I had to make sure my jukebox was turned on in 3 different spots for it to actually start posting. I totally understand why they have it set up in this way after using the product for a while. However, as a new user, it took me a bit of time to actually start publishing content. 2. It isn’t a pretty interface. Personally, I could care less about this detail, but it isn’t a pretty system like Hootesuite and some of the other social media platforms. I think the designers were more interested in getting the job done than building a “pretty” platform. 3. I’ve had problems with inconsistent picture posting. To be honest, I think this is more of an issue on my end, but I can’t tell. Either way, sometimes, my posts have the featured image, other times no image, or it even pulls a random image from the post. It occurs pretty infrequently so at this point I haven’t dug into the issue enough to figure out what is causing it. Social Jukebox has a basic version that is free. It allows you to connect one social platform to your account and have two jukeboxes with 300 total posts. I used the free version for a long time, but as I’ve increased my Twitter and Facebook evergreen campaigns, I’ve finally decided to do the paid version. I recommend starting out with the free version. 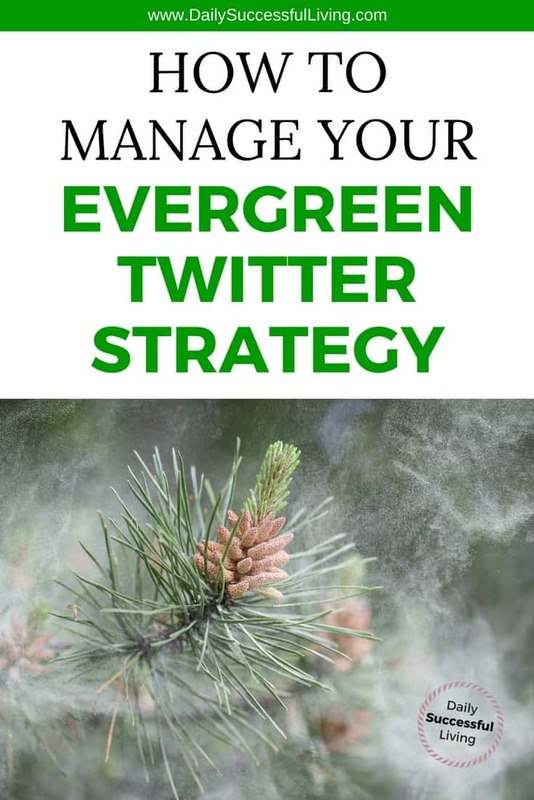 Set up your evergreen campaigns for regular tweeting and see if it works within your social media marketing plan. Eventually, I’ll need to use full-blown social media sharing platform that can handle all of my social streams, but for now, I’ve chosen to use Social Jukebox, Tailwind, and Boardbooster. For a small blogger, it seems to be a good mix of inexpensive products with the functionality I need.